It’s been a stop-start, couple of days down in Spain as the weather has played a big part in proceedings. Padraig has managed to play an opening round over a couple of days and shot 17 pars and just one bogey to sign for a 73. He has also played another nine holes in level par, one birdie canceled out by a bogey and will return Saturday to complete this round. Five under par leads at the moment but it is hard to judge the scoring as half of the field have only played one round! Padraig gets to finish his second round and shoots a three-over par round of 74. He makes the cut which falls at four-over par but the tournament is now reduced to 54 holes. With more bad weather on the way, it may even finish on Monday! 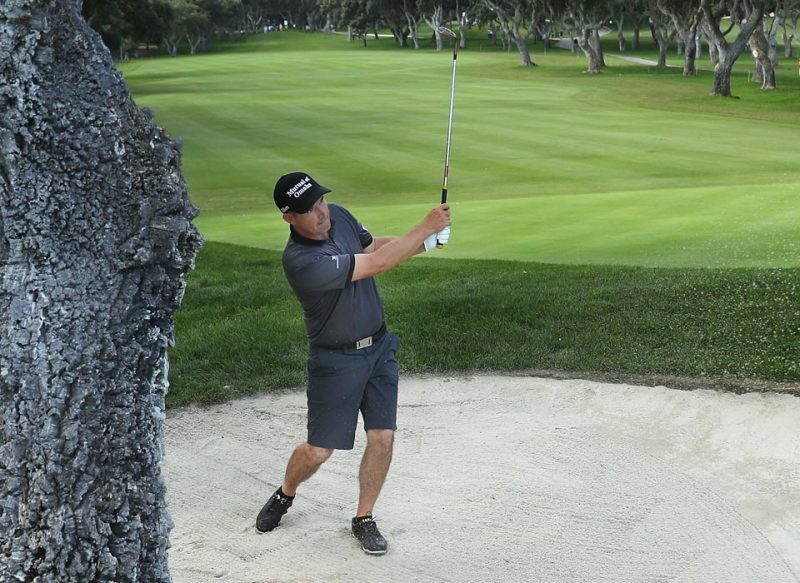 Padraig has made the late decision to join the field this week at the Valderrama Masters to try and gain entry to the Turkish Airlines Open, a Rolex series event! He had this to say, “I’m just outside the automatic qualifying spots for the Turkish Airlines Open, so I need to make a few more points to get to Turkey. So it’s a great opportunity for me to go to a course I’m very familiar with and get a bit of sun on my back too, so I’m looking forward to it.” Padraig tees off at 1.35pm local time with Alvaro Quiros and Andrew Johnston and will be looking to continue his rich vein of form, with three top tens in his last five events! He has fond memories of the Robert Trent Jones Snr designed layout, with a runner-up finish in the Volvo Masters in 1999 and a top five in the 2000 WGC-American Express Championship. I was due to be off this week but as I have moved to 86th in the Race to Dubai standings, I am currently last man into the Turkish Airlines Open. With this in mind I have decided to play here in Span in the Andalucia Valderrama Masters. I aim to secure my spot in Turkey and also try to get myself inside the Top 60 for the Race to Dubai finale. I’ve played here in Valderrama many times over the years. When I started on tour it was our regular end of season venue. I’ve had mixed results here, but no matter how many times I play it I continue to find it tough. For me it is extremely tight – you have to hit a particular side of the fairway to have a shot to some flags. I find this quite frustrating and therefore have tended to struggle more times than not. This year I am coming in off the back of some good results. However I’m trying to get recent results out of mind and take on the course with a clear mind. I only got in late on Tuesday night so Wednesday’s pro-am was my practice round. The course, as always, is in great condition and the weather is equally good. It was beneficial to get out and play the course – even though I know it well it always helps to get a feel for speed of the greens and the bunkers. There were a few shots, for example the tee shot on 14, that need to be hit once, so that you know the line you have to take. I enjoyed the pro-am round and the guys I played with. We had a good laugh even though we didn’t trouble the leaderboard. It was a perfect practice round for me – I got to see the course, hit the shots I wanted to hit, have a competitive element to it and I saw my game improving as the round went on. I’m out late on Thursday with Beef and Alvaro Quiros at 1.35 pm. The forecast is not good for the morning so it is very possible that we will be delayed. If we are, the good thing for me is that I don’t have to get up and wait at the course as I’ll know well before my tee time. I’m feeling good about where my game is at and looking forward to playing. I’m here because I want to qualify for Turkey but it won’t be on my mind. I’ll be focusing on this week and trying to get myself into the mix for Sunday afternoon. I know if I can do that then Turkey will look after itself.